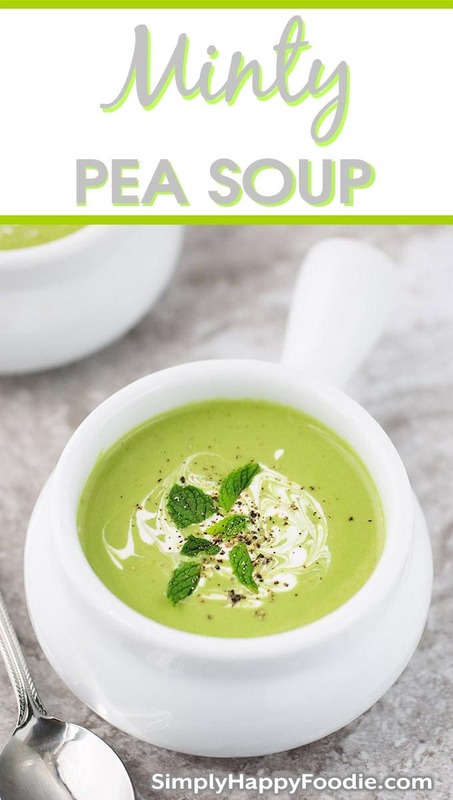 This Minty Pea Soup is delicious served hot or chilled (I love it chilled best). It can be served as a party appetizer in cute little cups (like shooters). I love a good party! 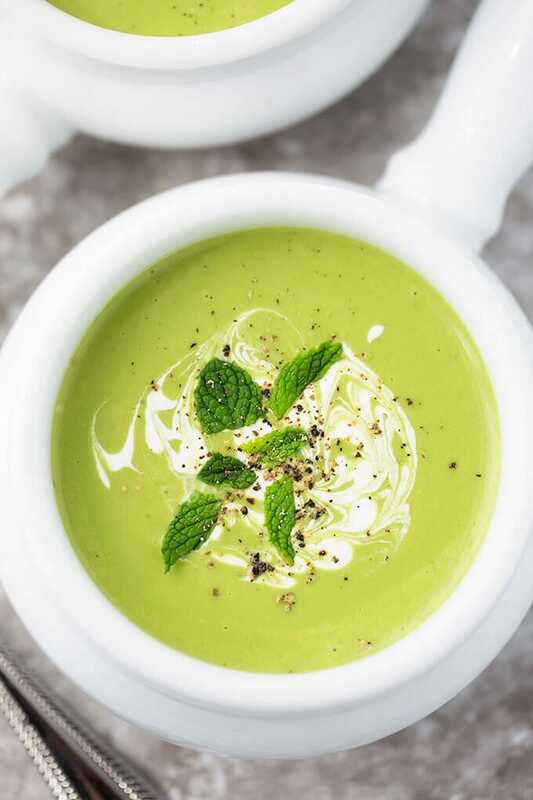 Who would have thought that this Minted Pea Soup could be a hip party food? Nana did. She was SO ahead of her time! Mint is a happy herb! Whenever I smell it I’m transported back to Nana & Grandpa’s place. My happy place! They grew mint along their back fence, and little patches spread around the yard. When I’d walk on the grass, I’d smell mint from stepping on it. Ahhhh! Nana made a minty pea soup from the snap peas they grew in their large vegetable garden. I’ll admit that when I was a little kid, I didn’t like it. I didn’t like pea soup at all! Thank goodness my palate grew up so I could appreciate this wonderful soup! 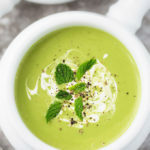 If you like mint, and if you also enjoy a chilled soup once in a while, you will like Minty Pea Soup! I have enjoyed the occasional Mojito, and that bright mint flavor is special. It wakes up your taste buds! I have to say though, I don’t like to be slapped in the face with mint. I enjoy a more gentle approach. A love tap. A hint of mint. 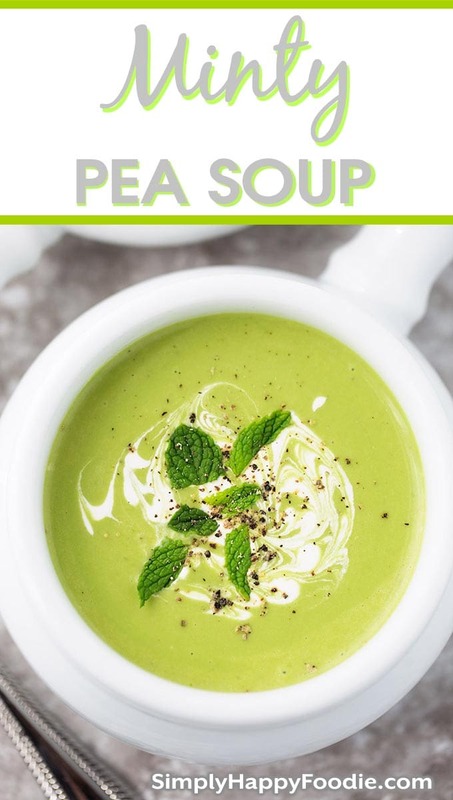 This Minty Pea Soup recipe is made with a love tap. If you want to be slapped upside the head with mint, just increase the amount by 2 teaspoons or so and you will have a minty EXPERIENCE! 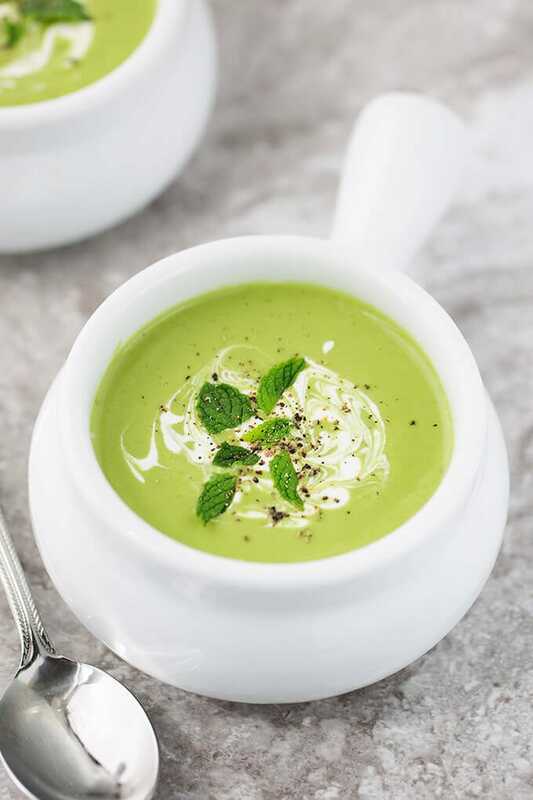 Minty Pea Soup can be served hot or chilled. A great party appetizer when served in shooter sized cups. Can be made vegetarian by using vegetable broth/stock. Sauté Onion in butter until tender and almost translucent. Add garlic and stir, cooking for a minute or less. Add broth, peas, and mint leaves and cook until peas are tender. Taste and adjust seasonings and mint to taste. Carefully transfer to a blender, food processor, or use an immersion blender, and puree soup. Add the heavy cream and blend. Serve hot, or chill for a few hours and serve chilled. Garnish with a dollop of sour cream and more black pepper.